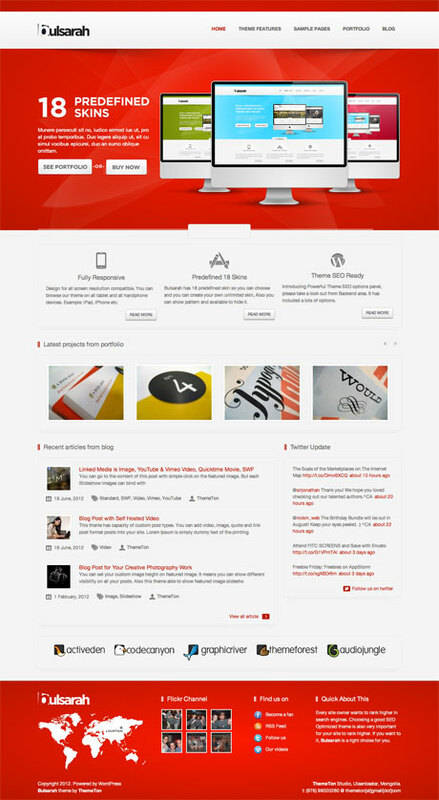 RT-Theme 17 Premium WordPress theme is a powerful premium business theme that has so many applications. This theme is ideal for corporate websites, product catalogs, service or portfolio site, but will even work for travel and tour, car rentals, real estate, and hotel industries. The clean, minimalist layout is made vibrant by the present color schemes included in the theme. Customization is easy with its powerful backend admin options. Gratitude Premium WordPress Theme is a responsive theme that integrates the power of the BuddyPress plugin turning your site into a full-fledged community website enabling users to interact within a WordPress network. This type of theme has features like forums, an internal messaging system, status updates, etc., especially useful for businesses or companies with teams working on specific group projects. BuddyPress can also be disabled if preferred. 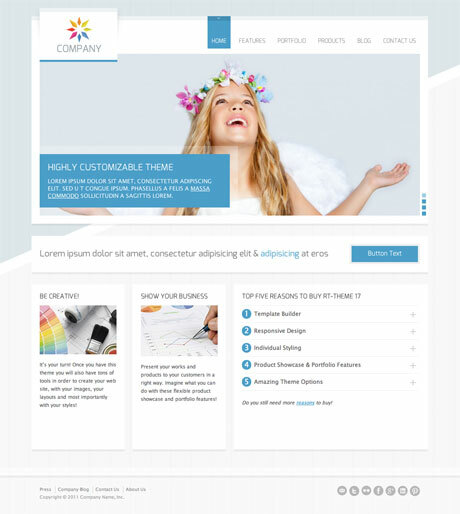 Enticing Premium WordPress Theme is a clean, minimalist corporate and portfolio theme ideal for any type of business. This premium theme has more than 180+ customization options to choose from making it a truly enticing theme to add to your collection. Putting up a professional looking site in no time is a breeze even for WordPress beginners. And if you do have a problem, theme support is prompt and courteous. Bulsarah Premium WordPress Theme is a bold and attractive WordPress theme whose key feature is its powerful backend SEO Options panel that allows you to take control of your meta descriptions, robots meta configuration, keyword and image optimization all within its custom Marvel Backend area. Power up your website’s ranking with Bulsarah Premium WordPress theme. 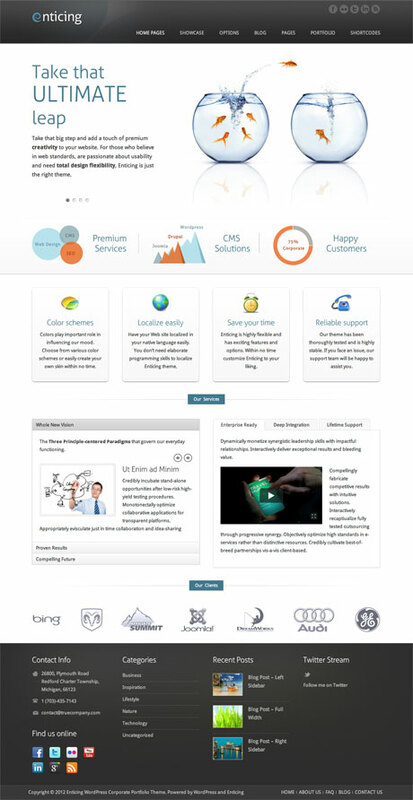 Zypo Premium WordPress Theme is a fresh and professional looking theme to showcase corporate profiles or portfolios. The solid layout and design communicates professionalism and credibility which businesses need when establishing their online presence. 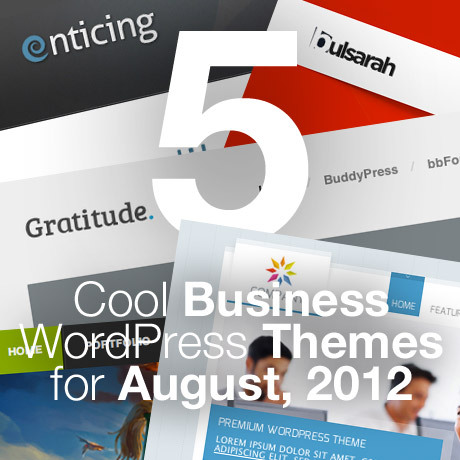 Any business will surely benefit from this feature-filled responsive business WordPress theme.